This thrilling novel follows one woman’s journey to discover her family secrets. 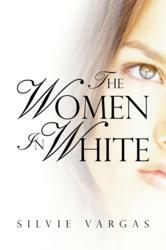 The Women in White, a new book by Silvie Vargas, has been released by RoseDog Books. In her quest to find her roots on the island where she first saw life, Samantha Rivas embarks on the emotional journey of a lifetime. What she learns will shake and shape her to the core, forcing her to come to grips with her own blurry past. Suddenly, things that have been buried deep in her subconscious come to light one lonely night in a suburb of New Jersey, leaving Samantha in the fight of her life as she’s forced to face her own dark demons. From her grandmother’s long-time struggle to win over evil spirits, to a falling-out that forces the family to change their surname, it all comes back in full apogee for better or for worse. Her family values and her upbringing will be the deciding factor in the final outcome of Samantha and her daughters’ lives. Journey through time with Sam and her family as they travel from humble Puerto Rico to bustling New York, overcome obstacles to discover true love, and reconcile ethnic ties with modern-day ambitions in this tribute to the boricua women of past and present. Their strength and courage will leave you with the knowledge that there is always hope for a brighter tomorrow. Silvie Vargas was born in Cabo Rojo, Puerto Rico, but moved between the United States, Costa Rica, and Mexico during her adult life. Vargas’ re-immersion into Latin culture during her years in Costa Rica and Mexico was the basis for her first novel, On Rainbow’s Edge. She currently resides in New Jersey in order to spend time with her daughters, Julissa and Cristina, and her granddaughter, Ashley. Her interests include photography, computers, and spending time with her family and friends, especially her daughters and granddaughter.